The Secret Dreamworld of a Vintage Girl: On Holiday in Palma! When you go to Spain, you don't really expect to find any vintage shops. It's hardly the vintage capital of the world and let's face it, what can you find apart from someone's abandoned 80s cast offs? However on my recent trip to Palma in Mallorca, I discovered a veritable amount of treasures in a gorgeous little shop called Rita's House, located at C/ MONGES 8, 07001, PALMA DE MALLORCA. This shop is home to an Aladdin's cave of mismatched custom and vintage goodies, and the staff are really friendly. I spent ages looking through the rails and eventually found a lovely 1950s dress with black buttons on grey wool with red ribbing at the cuffs and a cute Peter Pan collar, labelled "Henley, Jnr." I'm assuming that this piece was imported from the USA or the UK, as there weren't many others like it. I also tried on a pair of jazzy Mallorcan capri pants with a 1950s 'Alcuqiuena' Islas de Mallorca label. They were gorgeous but were just slightly too small. I'm sure another British tourist will find them! I wasn't disappointed at the offerings, after all, who thinks of Spain for any kind of vintage? I did purchase the Henley dress, and a beautiful silk Spanish skirt (probably 1950s or 60s) as well as a pretty green scarf. My other advice to vintage fans would be to visit the bars in Spain, as in Palma there is a huge culture for pop up shops. It just so happened that on our night out we found a vintage stall at the back of the bar, and I purchased a 1960s pastel mint blouse with a little bow and lace trim, as well as an tagged jersey vest with the original label! Bargains at £18 for the two! Vintage is INCREDIBLY cheap in Spain, they obviously have no concept of how much it is worth, the Henley dress I bought was barely 30 Euros, which is the equivalent to 26 pounds! Either way, the stock is a bargain fest at Rita's House! I must also note the obvious love of Audrey Hepburn by the Spanish. 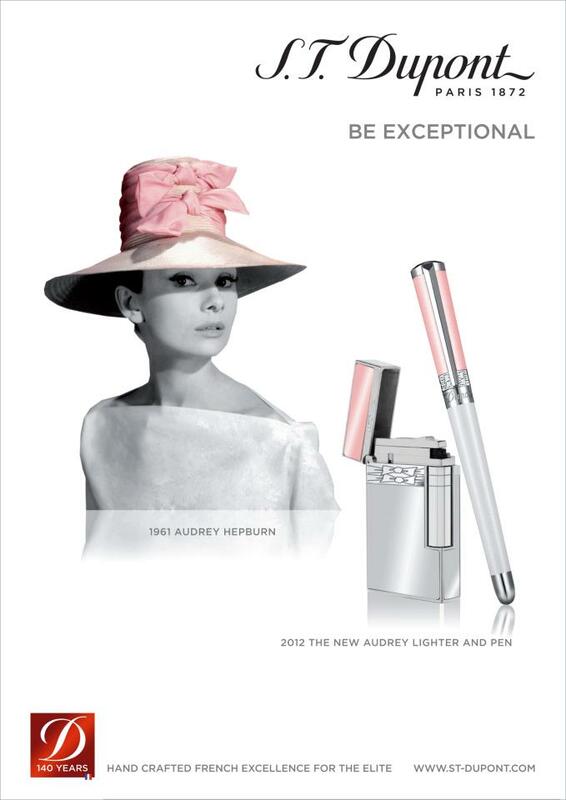 I visited El Corte Ingles (a HUGE department store) in the main City of Palma, and was browsing through the stationery department when I turned around and saw a huge poster of Audrey advertising a special edition pen and lighter set. The set is available from S.T Dupont, a Parisienne designer, but it looks as though it's only available outside the UK! The lovely Audrey Hepburn poster as seen! Then, as we were browsing through la musica, I found the Breakfast at Tiffany's soundtrack, this is DEFINITELY one for the iPod. Henry Mancini's music is beautiful! This tour around Palma was rounded off our shopping trip with a dinner in the evening on the seafront at Cafe Murada, a lovely Italian restaurant with very friendly staff and would you believe it, a whole wall of Audrey pictures! There was even a Breakfast at Tiffany's photo on the toilet door, probably not the most deserving place! Either way, the coinicidence was rather uncanny. If you're shopping for a vintage fan in Palma, I recommend the La Caixa Forum gift shop Plaça Weyler, 3. 07001 PALMA. This has an array of Audrey and Marilyn merchandise, including bags, purses and phone cases. Don't forget Rita's House, oh, and for the BEST ICE CREAM IN THE WORLD, try Giovanni's Ice Cream Parlour or ICEBERG, both located on Calle de Jaime, Palma. Greetings from this sunny Isle!